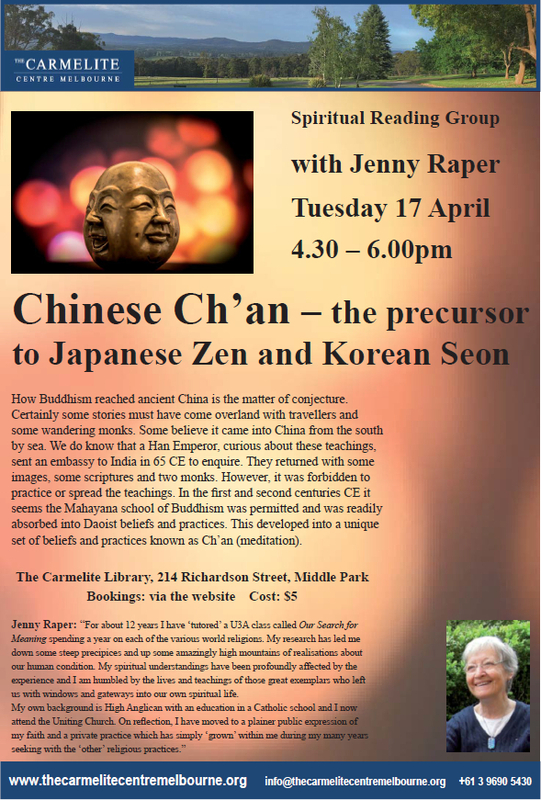 The April Spiritual Reading Group will be led by Jenny Raper on the topic of Ch’an Buddhism. See the flyer for more details. Please scroll down to book using the form below. Please put these dates in your diary now. You are welcome to come along to any these sessions, which are held in the Carmelite Library on the third Tuesday of each month February to November, starting at 4.30 pm.